Financial Peace University: Is It Worth The Price Of Admission? By Peter Anderson 51 Comments - The content of this website often contains affiliate links and I may be compensated if you buy through those links (at no cost to you!). Learn more about how we make money. Last edited November 14, 2018 . 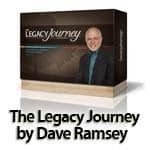 Over the years I've written quite a bit about Dave Ramsey here on this site. For those that don't know Dave Ramsey is a nationally syndicated radio talk show host, author and financial guru. I've written about his 7 Baby Steps plan for getting out of debt, as well as his 9 week financial class called Financial Peace University. I've also read and recommend his book Financial Peace Revisited as it was included in the Financial Peace University packet when we took the class. As you can probably tell, I'm a big Dave Ramsey fan. I've taken his classes, helped facilitate the class as a leader. I've even had the chance to talk with Dave on the phone one time after he enjoyed one of the posts on this site. All in all I think his methods are great for helping people to get on a solid financial footing, and to get rid of debt. With all that said, today I wanted to talk about something that I've heard quite a few people talk about in the last few months – the pricing of Dave Ramsey's programs. I've heard some people say that his programs cost too much, and that he's making his fortune off of the misfortune of others. I've heard this even more since it was revealed that Dave Ramsey had built a huge new multi-million dollar house for his family. Others say that his programs are priced reasonably, and are well worth the cost for what you get. Today I thought I'd examine just what his program costs, and whether or not it's a good value. What Is The Cost Of Financial Peace University? Where Could You Find $129.99 In Your Budget? So Is It Worth It? Is FPU A Good Value? So the class costs essentially costs $129.99 per family. $100 is what we paid when we took the class a few years ago. So apparently the price has increased a little, but what you get with the fee has actually changed as well. You get a lot more now. If you really wanted to save some money it looks like you could pay for the monthly membership and 3 months – only while you're taking the class, and it would cost $109.96. One thing that should be noted is that the membership options are for an annual membership fee, which expires after one year. If you want to continue after that point, it's $99.99 per year after that. It no longer covers a lifetime membership to the class like it used to. I've been through the class now twice, and I found it helpful to attend more than once. Sometimes the first time through you may have some confusion about certain topics, and want to go over them again. Taking the class a second time can help you with that. Financial Peace University also has a home study program as well, which will cost more because it also includes the DVDs of the lectures, which aren't included in the regular class package. The cost for that package is currently the same at $129.99. Note: I've been told that you can also attend the first class of Financial Peace University at no cost to decide if it's something you might want to do. Something to consider for those on the fence. 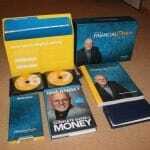 Financial Peace University lessons taught by Dave Ramsey, Rachel Cruze and Chris Hogan. Four newly updated lessons coming soon! Member workbook for all nine lessons. Subscription to EveryDollar Plus, The Ramsey premium budgeting tool ($99/year value). Renews for free annually with membership. To me that's actually a pretty good value. You're getting all that books and materials as well as the class for only $129.99 For the 9 weeks of class alone that would be around $14.44 per class. That's pretty darn affordable I think. (Check out my FPU Kit unboxing post for more pictures of the materials). In the past year or so they've been adding new content as well and adding it to the membership benefits. Things like the new budgeting tools, The Legacy Journey course, Smart Money Kids course and free livestreams. So you're getting a whole lot more for your cost than in the past. You also get some intangibles when taking the class, one of which is a sense of peace knowing that you're in better control of your money. Having a budget and a plan can really give you a sense of power that many didn't have before. The question a lot of people bring up when talking about the class is – “If I can't afford to pay my bills, how can I afford to pay for the class?”. In some instances I know that some churches that offer the class will help people to pay for the class with full or partial scholarships. Even Ramsey suggests, however, that it is a good idea for people to pay their own way. They've found that people who pay their own way tend to have more success in the program, in part because they have something invested in it. If they don't pay, since it's not their own money they don't feel as bad dropping out after 2 weeks if they don't like it. Pay the cost, and they're more willing to stick it out and do the hard work. We saw this very clearly in our own class, one of the few people who got a scholarship ended up dropping out after the 3rd week. So where can you find $129.99 in the budget? Cancel cable TV, and you'll save hundreds by streaming over the course of the year. Get a lower cost cell phone plan. Create some freelance income, or get a part-time job. Eat out less for a month or two. Sell some stuff on Craigslist. Sell your old cell phone. The point is, there are a ton of ways that you can come up with an extra $129.99, you just have to be creative! 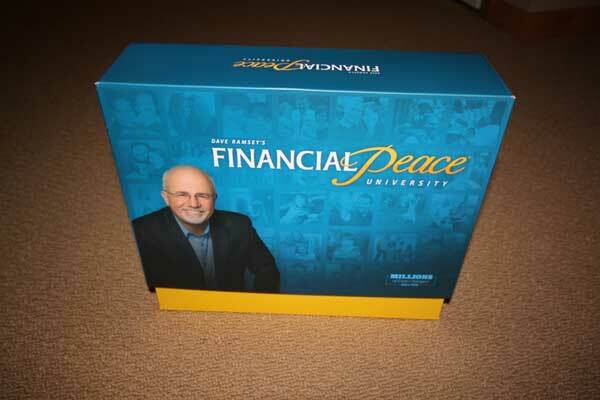 So is Financial Peace University a good value, and will you be glad you spent the money? In my opinion it is an extremely good value for what you're getting – a road map to a solid financial footing. It really isn't that hard to find an extra $129.99 in your budget if you put your mind to it, and the returns you'll get through the program will more than pay for it. If you don't like Dave Ramsey or his methods, you may want to look elsewhere because there are other programs out there that may cost a bit less – like Crown Financial's Money Map program. But for my money, and from my experience, Dave's program is effective, engaging and fun, and it just works. What are your thoughts? Are you convinced that the program is a good value? Do you still think it costs too much, or do you have other issues with Ramsey and his program? Dave Ramsey's New House: Did He Follow His Own Advice And Pay Cash? Dave Ramsey's new class, The Legacy Journey, looks in depth at building wealth, investing and God centered stewardship as a way to leave a legacy. Last Edited: 14th November 2018 The content of biblemoneymatters.com is for general information purposes only and does not constitute professional advice. Visitors to biblemoneymatters.com should not act upon the content or information without first seeking appropriate professional advice. In accordance with the latest FTC guidelines, we declare that we have a financial relationship with every company mentioned on this site. Good for Dave for being a wise steward and helping others AND being able to afford a big house. Those that complain about his wealth are simply jealous. Your post as well as your experience proves the worth of Ramsey’s stuff. I agree that FPU is well worth the money. We have hosted FPU numerous times at our church and have never heard even one attendee complain about the price. As Dave says, you can easily get the money back by following the teaching in any one of the thirteen lessons. For us, using the envelopes has forced us to live within our means and has therefore saved us hundreds, if not thousands of dollars. Dave Ramsey was the one who really got me to buy into the idea of a zero based budget, and giving every dollar a job and a name. That tip alone has saved us hundreds – so I agree – You’ll most likely save more from taking the class than you spend on it – as long as you follow through with the program. I discovered FPU after we were already debt-free except the mortgage, so I havent gone through the course, but I’ve read many of his books and followed his broadcasts, and find his advice and the way he presents it to be excellent. Yes, you could probably piece together this info and tools for free. But sometimes you get what you pay for. And sometimes when you pay for things, it makes you work harder at them (at least that’s the way it’s been for me and Weight Watchers!). Christina, I can relate to the Weight Watchers analogy, translates well to FPU – dropping pounds or dropping debt. If your going to invest $100 into getting better control over your money I think that is a big motivation too. Do you feel like got enough motivation to keep up with your finances after the course? Think others that took the class with you felt the same way? I’m a tightwad by necessity. We hate debt and have never had a good income. It took us years to pay back a $3500 graduate school loan and we avoided debt like the plague after that. We found our information in books. The first was a Christian writer from Canada, don’t recall his name, who emphasized stewardship. It was given to us by a retiring pastor at his yard sale. Then we discovered Larry Burkett. His work popped up at yard sales and thrift stores, so we never paid full price for anything. It was the encouragement we needed at the time. I think if Financial Peace University is a good fit, you’ll have the cash and motivation to follow through with it. If you don’t have the cash and have a desire to be obedient with what you have, God will make another way for you. I started with Dave’s original Financial Peace book and slowly converted to the envelope system. That made all the difference. I took FPU just so I could bring it to my church and never thought that the price was too much. I have facilitated classes at our church for the last 6 years and we make it very clear that if the price of the kit is keeping you from attending the class, then we will offer a scholarship. Most of the hundreds of people that have attended our classes thought that the class was well worth the price. It’s only worth the price if you take the program seriously, and like you pointed out, the people who pay out of pocket for the program usually do. It’s not hard sparing $100 from a monthly budget and it’ll definitely be worth it in the long run. Great article, full of useful information about FPU. I’ll be passing it along! My problem with Dave is that he is essentially repackaging common sense and open source information into a slick package and then reselling it to naive or trusting individuals and using the church for his monetary gain. I know, we live in a capitalistic society, if people want to pay for it, more power to him. So maybe my problem is with the people who use his methods and then never realize that they didn’t really need Dave Ramsey to begin with. All they needed was for someone to lay out some good personal finance ideas and then show them how to apply them. Is that worth $100? Sure, maybe to some people. But be wary of anyone who offers to make you rich if you only give them some of your money first. It becomes quickly obvious who is really getting rich in that transaction. You want to know how to achieve financial peace? Start selling people the idea of financial peace and charge them $100 for it. Which week was that covered in FPU? You obviously have a pretty low opinion of Dave, and that’s your choice. I can understand why some people don’t like him, he’s got a pretty strong personality, and I don’t agree with everything he teaches either, especially when it comes to investing. The FPU program may be mostly just common sense, I can’t disagree with that. The problem is, so many people grow up without common sense being taught in their families, and as a result they don’t really know or understand how to manage their money. I don’t think that putting together a package that truly helps people to get out of debt, and selling it for $100 (which includes the 9 week class by the way, people often forget that) is a bad thing. Some people just need help – and he’s there to provide it. Has he become wealthy from his radio show, FPU program, etc? Sure. I have no problem with it though because he actually is helping people, his program works. It’s not just snake oil or a worthless product. I’m not sure where you saw that he promises to make people rich, that was never in any of the classes that I attended. It was more about getting out of debt, being responsible with your money and then having enough to save for retirement and especially to give to others. If it’s “common sense” then why are so many Americans not doing it? Why are so many Americans barely getting by? $129.99 isn’t very much. Half that is probably the cost of printing and publishing. Dave states upfront in his books “The Complete Guide to Money” and “The Total Money Makeover” that the concepts he presents are nothing new. As he says “you the same financial advice your grandmother would, only we keep our teeth in”. I suspect people who forego Dave’s advice because they don’t want to pay for it wind up paying a lot more buying books, newsletters, and magazines from all the other financial gurus. And unlike those others, you don’t have to keep paying Dave to keep getting his advice. I have been Financial Coaching since 2003. In 2012 I took the class for a “fresh perspective” to add to my own teachings… Now I encourage ALL of my clients to take this class at their local church! Can anyone provide me with information on how much it costs to HOST an FPU? I’m looking into this for my Homemaker club and I’m curious how much it would cost our club to host. If you were going to host a group, I believe you would need to buy the “Financial Peace University – Leader Membership” through their store, which costs $159 and includes the 9 DVD class set, one FPU member package – along with leader materials. Individual class memberships would be $129.99 for people who join in on the class. 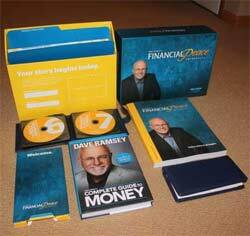 If you go here: https://www.daveramsey.com/fpu/faq/, you will see that you can purchase the Home Study Kit for $159. This should provide you with all of the materials necessary to facilitate the class through your home group. We have a 6 & 4 year old and we live in Wilmington, NC! The classes are at night, therefore we can’t attend the 6:30 classes! Are there morning classes during the week? Ed, sorry, but my site doesn’t have any affiliation with Ramsey or FPU. I’d recommend seeing if there are other classes nearby at the times you’re looking for. Good luck! You can locate all available FPU classes via the Class Finder at http://www.daveramsey.com/fpu/classfinder. Hope this helps you find financial peace, Ed! My husband and I started FPU at the end of Aug 2015. I’m in my late 40’s, he’s in his mid-50’s. He’s retired military, I’m a business professor. We own a home and cars. One may ask, “Why would you need FPU at this point in your lives?” After all, I teach others how to write business plans and make budgets. But like millions of other Americans we were in personal debt (still working through it), and knew some things to do to get out of it, but hadn’t put it together. *This program is more than just “using common sense”. It’s taking practical information, putting it together, and following a concrete plan. *I know for a fact that everyone doesn’t understand the underlying dynamics of debt, credit card marketing, buy now pay later, life insurance etc. and this is a good start. *Does Dave claim to know it all? No, he clearly tells his audience to visit other professionals if needed. *“If you will live like no one else, later you can live like no one else.” does not promise riches. *It’s helpful when you’re in a group with others experiencing the exact same struggles and you know you’re not the only one who has made poor financial choices. *I no longer believe I’ll die with my student loan debt. *Am I mad at Dave Ramsey for “packaging common sense”, helping people to become debt free and making millions in the process? Nope…wish I’d thought of it! *There is definitely something to be said about Believers gathering together to uplift and support one another, learning about becoming debt free givers, and it’s based on biblical principles. So…Is FPU a one-size-fit-all for everyone? Obviously not. But for us, the stress level has bottomed out, there’s an emergency fund, a budget, bills getting paid off…none of which was happening before Aug 2015.
p.s. If we can spend $100+ on cell phone bills, directv+NFL Sunday ticket, taking the family to dinner, tennis shoes for my son etc. A payment of $129.99 for financial peace seems well worth it. p.p.s. One of our adult daughter starts the class in January and I’m going to go with her. If she follows these principles starting at the age of 22…who knows?! $93 is less than most college books… for 1 class… so methinks this is probably a pretty good deal and anyone who thinks ol’ Dave is ripping people off is a bit crazy. We wanted to go but it’s $149 a person. We are broke and can’t come up for $300 for what is now a one day class. On the FPU store, it appears that it is still $129.99 for the class membership, and you only need one membership per family – not two? It also meets for 9 weeks – did I miss something about it becoming a one night class? I couldn’t imagine they would do that with as much material as they need to cover? Classes meet for nine weeks and are led by a volunteer coordinator. One Financial Peace University membership per family is all you need to get started in a class. Also, I know a lot of churches that hold the class at times offer some sort of scholarship. Not every location is able to, but I have heard of some locations doing that in cases of financial hardship. Certainly that advice that FPU can give is worth that $129.99 price, if a friend whose opinion I respect has any value. She’s a huge Ramsey fan. And the ways of saving that are all noteworthy, except for selling one’s plasma, which truly should be freely given. Ramsey’s philosophy of financial discipline will be truly worth it if FPU also answers its critics. After all, there are those who will say that being debt-free every minute of your life is not always the road to take until of course one becomes a multi-millionaire. ? I purchased the package. But all we received was the workbook, the book, and a blue thingy with envelopes. Where is the remainder? I think they’ve recently moved some of the resources online, like the audio of the lessons. They used to be on CD, but I think they’re now downloadable .mp3 files using an activation code in your packet. I am not religious and I thoroughly enjoyed the course. I will be taking it again very soon. If you fear the class is filled with religion, it is not. Dave promotes managing your money God’s way or Grandma’s way. I walk with Grandma. This program works! I wish I had been aware of this course when I was in my 20’s. I would be retired now. how much are his 4 day conferences? This year in San Antonio, Texas and another later this year in Tennessee. His web site does not advertise the prices. Thanks for any help with this. I bought the homestudy version probably around 2010, but didn’t get around to taking the actual class. I just went to register for a class and was told in 2012 it went from a 13 week class to a 9 week one which means the lessons would be off if I tried using the version I have now. That means I have to purchase a new kit for $129.99 to take the class. I am not sure if it is worth it since it is pretty much the same material. Worth every Penny and more. Even if it was more expensive it would be worth it. The class and all the material come at an incredible value. I’m currently enrolled I think were on week 5 and it has taught me many things but the miracle is the change in my wife and how she has taken the lessons to heart. I’m so proud of her. Having lots of problems with the program not syncing with the accounts correctly. I understand the materials and I can navigate through the programs, however these issues have been within the EveryDollar program, the Baby Steps program and the Debt Snowball program, and technical support indicated it could take up to a month to resolve. Very dissappointed in the FPU program apps so far, which are supposed to be conveinant and helpful managing and organizing my finances. It’s so discouraging knowing FPU is only half of the bundle package I bought with the Deluxe Legacy bundle ! I have to say; so far, there’s been nothing Peaceful about it. I am headed into the 7th week of the group class, and then it’s flying solo. I really hope the Legacy program isn’t as much of a disaster as the FPU continues to be. After fighting the programs (that will never work until the program engineers get then fixed), then I watch the same videos on-line as the DVD’s, wich isn’t a big deal, but then I have to sit through watching it again with the class; who more than half of bought the cheap version without the DVD’s. I really thought it would have been more of a workshop where everyone studied the materials the week before, then worked on what was covered in groups. There’s just too many people in the class for the instructor to help with at each group table, much less individually. Except maybe after class, when everyone is leaving. But then, its just making a note when there are problems because they don’t know how to resolve them and they want to go home too. I can’t help feeling I paid too much for the FPU Deluxe program when more than two thirds of the class got the basic version. It’s like a one room high school class. We’re all getting too little out of the class time. Plus there’s all the time wasted with the faulty programs and dealing with tech support. I haven’t used the FPU apps, I’m not even sure they were around when I took the class. At the time we mainly kept track of everything on paper, cash envelopes, or in a desktop program separate from the program like YNAB or Tiller. If I were to recommend a program to keep track of a budget I’d probably recommend one of those two. If I read the book “Total Money Makeover”, why is a class needed? The class goes more in depth than the book does, giving you more insight into your own finances and how they relate to the principles in the book. You could certainly do it without the class, but the class gives you more support, more instruction, and more feedback via video lectures, etc. You don’t get a lifetime membership. I was told you do in 2016, but now in 2018, it’s over. It’s only a 1 year membership. You have to pay for an upgrade. Correct. It used to be a lifetime membership with the one fee. 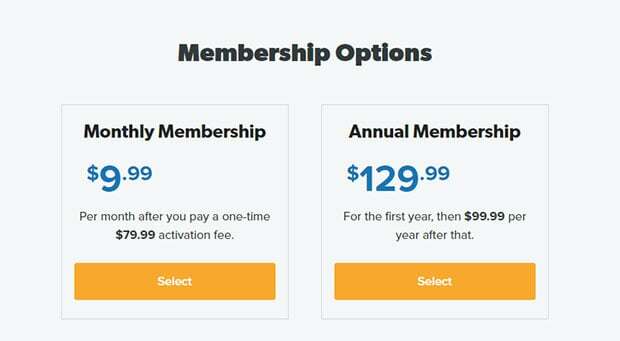 Now it’s a 1 year membership for $129.99 the first year, $99.99 subsequent years. There is also a monthly option if you only want to subscribe while you’re in the class. 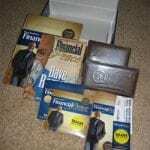 Great and clear article on Dave Ramsey’s products. Thanks for writing it. Do churches pay to host Financial Peace University classes? My church is offering them free, but I thought I heard somewhere there was some kind of fee to host it? 1.) If the app is worth $99/year, is that where most of the price comes from? 2.) How different is the course material compared to the free content already on youtube? You get the app, along with everything else listed above including streaming live events, legacy journey course, smart money kids course, coaching help, etc. You can also take the course again if you want to. I haven’t viewed the free content available on Youtube, but I have to think it’s pretty different. Probably a lot of the same concepts, but different. If you’re not sure you want to pay, you can do what friends have done and just buy his book second hand, or get it from the library. That way you can see if it’s for you. So one of your suggestions to pay “Dave” for the course is: Sell my Plasma so I can increase Dave’s wealth. What a load of ?! Boy oh boy now I have heard it all. By the way, in what chapters of the Bible does it talk about budgeting? Selling plasma is just one of a thousand different wants that you can make a little bit of extra money on the side, it’s only an example. It’s something I did when I was in college, I see no shame in it. There are a ton of verses in the Bible that talk about money, or about issues that surround money. Ideas of planning ahead, stocking things away for a rainy day, being generous with the things you’ve been made a steward of and more. I am from India and I am not able to purchase the course because there’s only option for USA states. Pls help me in purchasing the course. Thanx. Just purchase the financial peace university or total money makeover book and work your way through the baby steps. You don’t have to take the class, but it helps to have the accountability and mentorship that comes from a small group. Next Post: What Effect Will The News Of Osama Bin Laden’s Death Have On The Markets?